St. Paul is unleashing a new effort to combat invasive plants in city parkland along the Mississippi River. 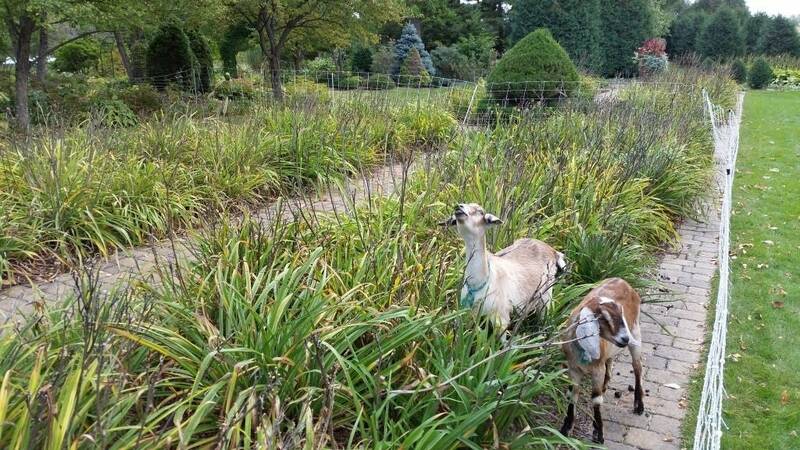 For the first time, the city says it is deploying 30 of the animals from Goat Dispatch, a "grazing goat rental company," to clean up fenced areas of parkland. "Using goats to clear land and woody areas is much more cost effective than many traditional methods. The costs of clearing land by hand, equipment rental, labor, permits, and debris disposal can add up very quickly," says the company on its website. An initial announcement by the city didn't address costs. Goat Dispatch says the animals are particularly suited to improving parkland, because they prefer broadleaf plants and leave grass alone. They also eat the seedling stems of plants, which means the seeds of invasive plants like buckthorn will be digested, rather than sprouting. The city says they're also well-suited to the hilly terrain above the river downstream from downtown. Parks elsewhere in the Twin Cities have used sheep and goats before, including Mendota Heights and Minnetonka. Atlanta parks have been using goats to pare back ivy and kudzu in Georgia. Land improvement is part of the city's Great River Passage plan, dating to 2013. With 17 miles of Mississippi running through St. Paul, the city is trying to improve its connection with the working waterway, including a proposed river balcony downtown and a photography initiative. The goats are scheduled to make their debut Monday afternoon on the edge of Indian Mounds Regional Park and spend several months grazing on the area.